This stunning assortment features fifty pieces of our most iconic chocolates! 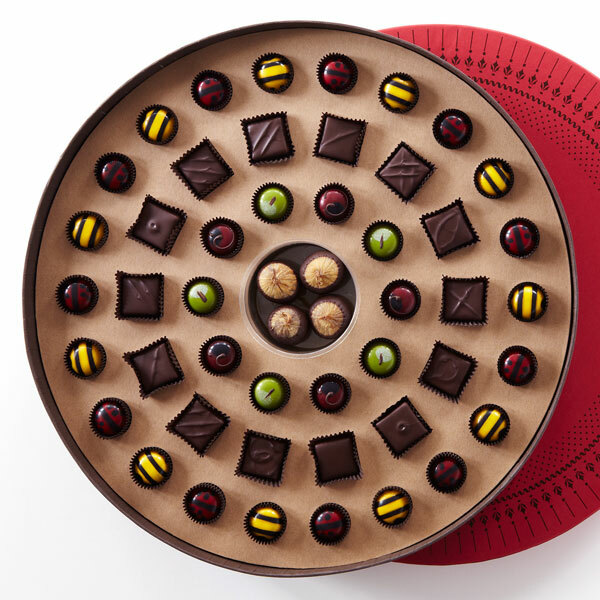 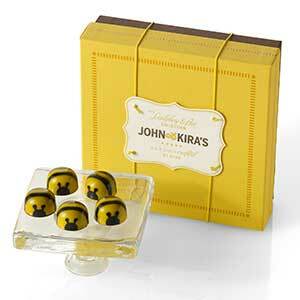 Hand-painted Bees & Ladybugs, signature Every Flavor, quirky Magic Chocolate Apples, sophisticated Chocolate Cherries, and the famous Whiskey Figs make for a thoroughly unrestrained indulgence. Chocolate Honey Caramel Bees - The 11 Chocolate Honey Caramel Bees in the Palette du Chocolat have a liquid caramel center and a clear, caramelized honey taste. This unique flavor comes naturally from the fragrant clover honey supplied by the Draper Family Apiaries in Millerton, PA. Each of the bees is carefully painted by hand with a paper-thin layer of yellow and black cocoa butter in a 62% dark chocolate shell. 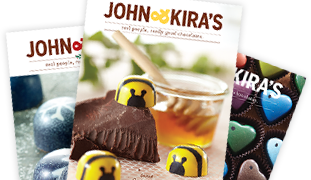 Every Flavor - 14 signature Every Flavor chocolate squares from our classic and most popular collection, featuring all ten of our award-winning flavors. 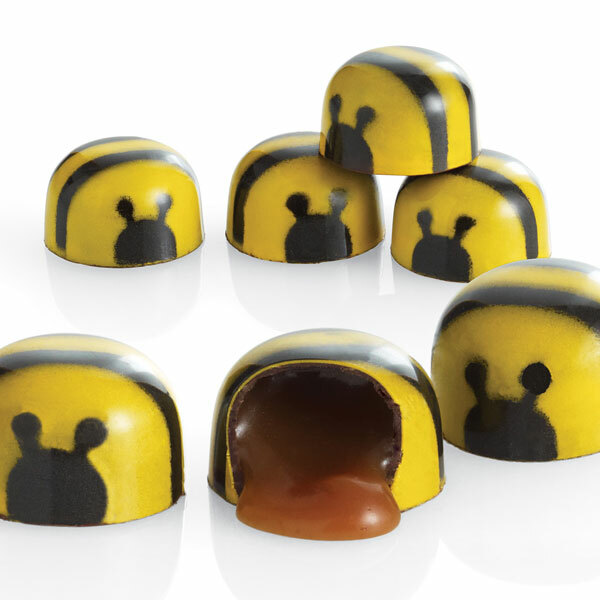 Red Ladybugs - 11 Red Ladybugs are hand-painted with colored cocoa butter and filled with a delectable 64% dark chocolate ganache. 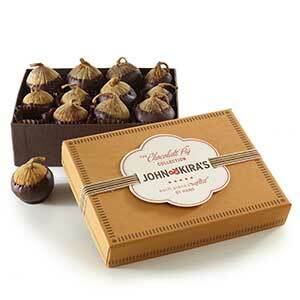 Magical Chocolate Apples - 5 Magic Chocolate Apples holds a mix of cream and milk chocolate with a touch of cinnamon, a dash of cardamom and a splash of apple brandy, each folded in 62% dark chocolate shell, and hand-finished with their own unique stem. 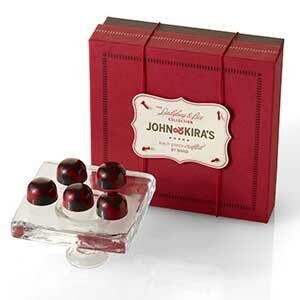 Chocolate Cherries - 5 sophisticated Chocolate Cherries, each is a pairing of a naturally dried, deep-red tart cherry with a decadent 66% Valrhona dark chocolate ganache, spiked with a hint of brandy, and meticulously colored by hand, and all come together in one exquisitely well rounded bite. 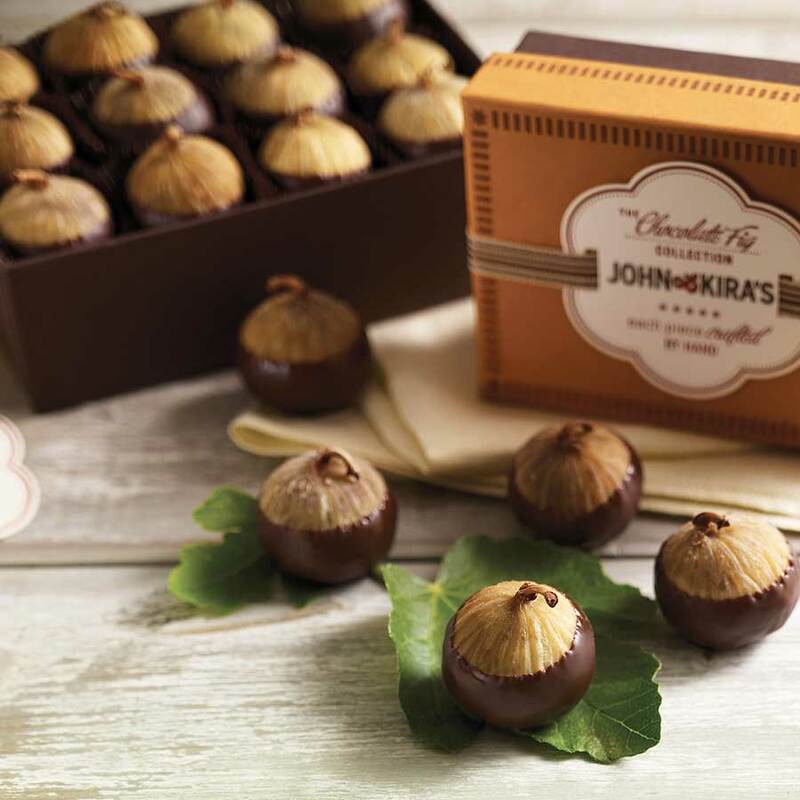 Chocolate Figs - Last, but certainly not least, 4 imported organic dried Calabacita figs from a small family farm in Spain are filled with a silky smooth, whiskey infused Valrhona dark chocolate ganache. They are then hand-dipped in 62% dark chocolate and placed in the center of this gorgeous presentation. 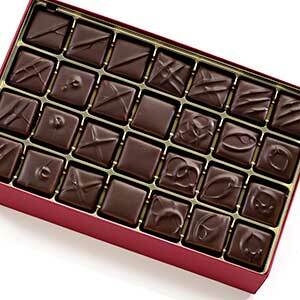 The Palette du Chocolat Grande Assortment is a chocolate lover's dream come true!